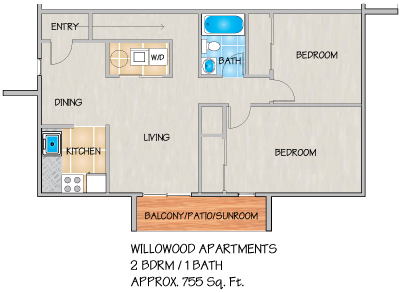 SPECIAL: 1, 2, and 3 bedrooms available now! Save up to $200 on your deposit for a limited time only! Ask about our renovated homes! 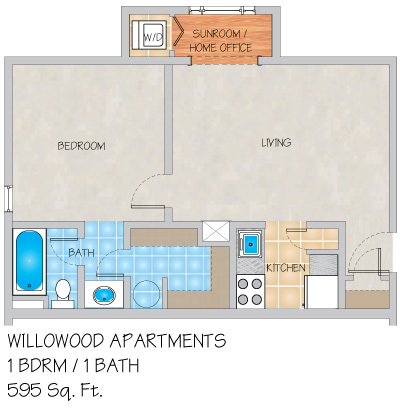 Please send me more information about Willowood Apartments. Monday - Friday 8:30 a.m. to 5:00 p.m. Saturday & Sunday By Appointment Only. 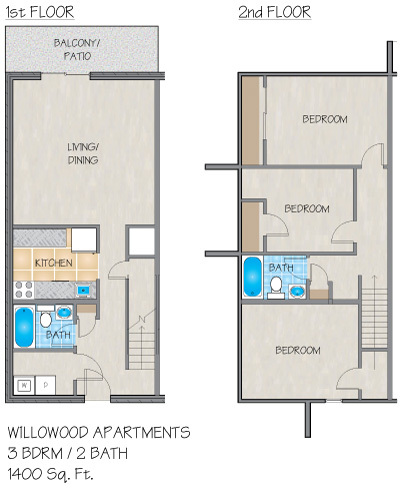 Willowood, a Metairie, LA apartment community, offers one, two and three bedroom apartment homes. This quaint gated community offers wrought iron fencing, New Orleans style courtyards with lush landscaping plus two pristine swimming pools waiting just for you. The interiors of our apartments feature a fully equipped kitchen with plenty of counter and cabinet space, frost free refrigerator, large closets, and washer and dryers. Vaulted ceilings with skylights, private patios, balconies or sunrooms with faux-wood flooring are available in select homes. 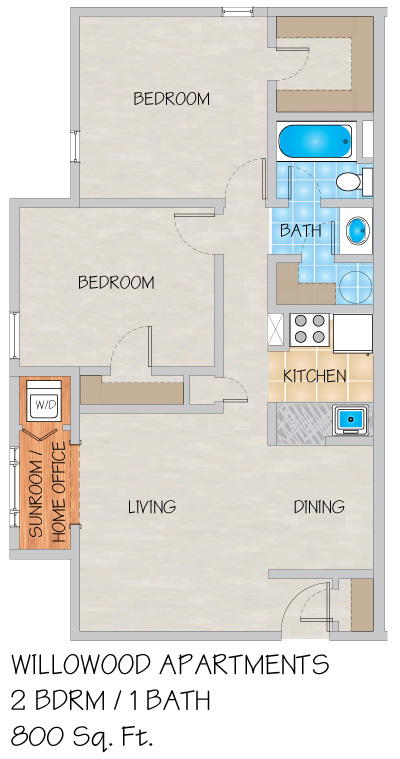 Outside storage units and covered parking are included with all town home style apartment plans. 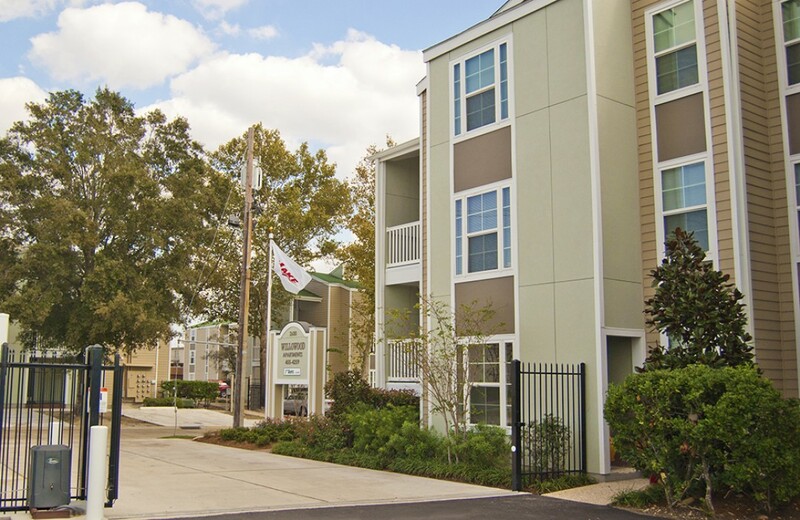 Willowood Apartment homes are conveniently located in the heart of Metairie; minutes from Clearview Parkway, Cleary Avenue, Earhart Expressway, Interstate-10 and Downtown New Orleans. Dining, shopping, recreation as well as hospitals and universities are close to our location. If you are looking for an apartment for rent in Metairie, come and see for yourself. We have been here around 8 months and are very happy the property is well maintained and the office and grounds staff are friendly and very helpful I would definetly rent from first lake again. I stayed here for a month waiting to close.on our house. The apartments are older and the neighborhood is not great for walking around. 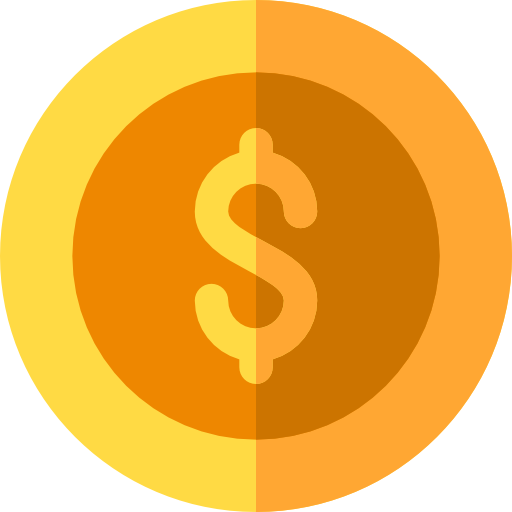 However it is very reasonable for the price. Also the office staff is very friendly and my neighbors were very polite and mostly quiet. Also the location near the interstate does make it convenient so even though you cannot walk to anything it is easy to drive places. Where I reside First of all, office staff and maintenance are first class. Electronic gates to enter premises. Most of time they are working. Cameras have been installed throughout the complex. 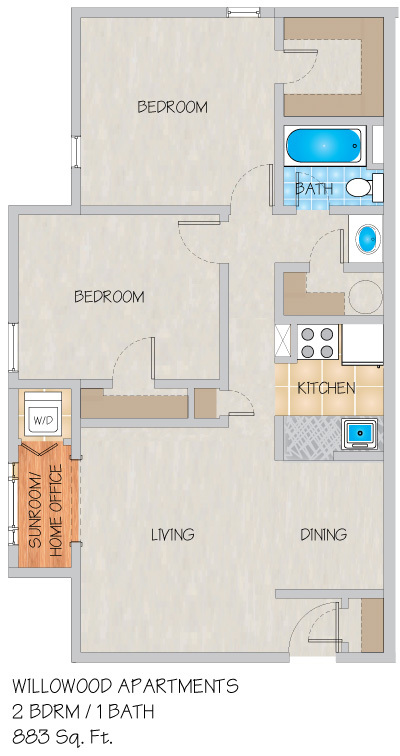 I have a one bedroom apt. with washer/dryer with utilities included. I have been here for almost seven years. Great location,neighbors are rather quiet. I would recommend living here. Rather safe. However, one should always stay aware of your surroundings. Grounds are kept clean. Pool is cleaned on a regular basis. All in all, not a bad place to live. At the moment, not looking to move else where. Great, helpful staff! 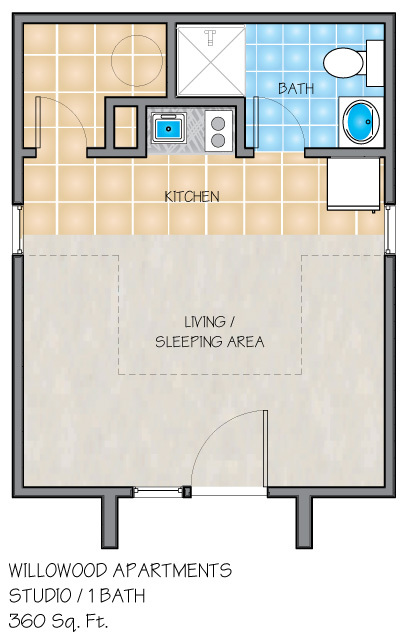 Large rooms and lots of closet space! I've been here 7 months and couldn't be happier. I very maintain courtyard and extremely thoughtful and quiet neighbors. I would recommend this complex to anyone. Overall nice place to live. The staff at the rental office is always polite and courteous. I've got a one bedroom on the third floor. The layout is nice, and I haven't had any problems that require maintenance (at least not yet). Biggest plus, for me, is a washer and dryer in the unit; I hate common laundry dmfacilities. My neighbors are all friendly. And there's even a community pool. One of my only complaints is that parking can be tough, especially later in the evening. They really do need a larger parking lot. Aside from that, though, all great! Great place to live. So quiet. Nice neighbors. Helpful and nice staff! I love my new apartment ! Great environment ! Awesome atmosphere ! Very nice and safe neighborhood ! The staff is very sweet and professional ! Unfortunately I will soon be moving. My experience was a great one. The complex is quiet and my neighbors are very friendly. I recommend these apartments to anyone. Great place to call home!!! i just recently moved in, its nice and quiet just how i like it. would most definetly recommend to everyone i kno. 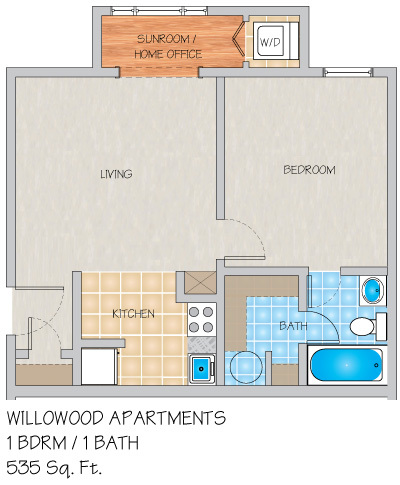 Willowood Apartments are great. My townhouse is always taken care of and I have no issues. Sadly my last,month here.,I am,moving away for a job. I did enjoy living here and have been happy. I will miss my place. I love living here. No problems.Wonderful place.